Poças Juniors’ house was founded for nearly a century by Manoel Domingues Poças Júnior and it is one of the few companies of Port Wine that was born Portuguese and still in the ownership of the same family, being currently managed by six elements of the 3rd and 4th generation: Jorge Pintão, Acácio Maia, Jorge Manuel Pintão, Pedro Poças Pintão, Maria Manuel Maia e Paulo Pintão. The Poças was always related to Port Wine, but, since 1990, extended his portfolio to the DOC Douro wines, developing Coroa d’Ouro, Vale de Cavalos e Símbolo wines, becoming one of the first companies of Port Wine investing in the DOC Douro wines. 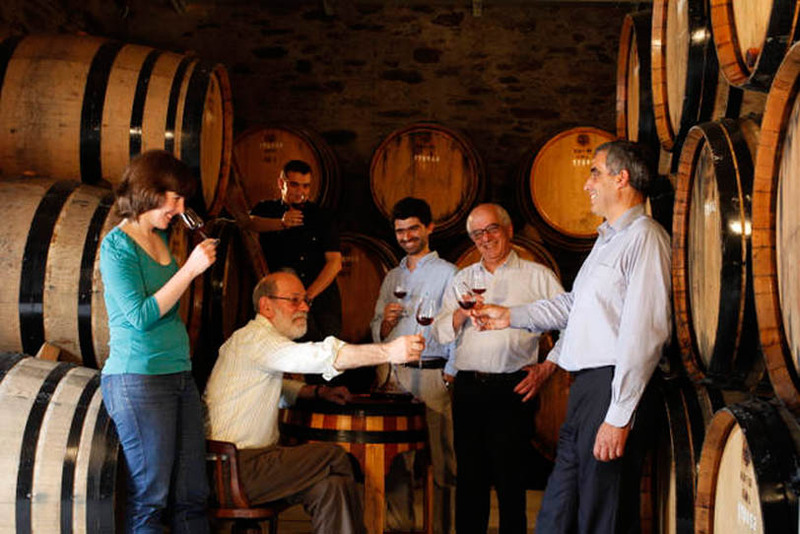 The company owns three farms in Douro, one in each sub region: Quinta das Quartas (Fontelas), in Lower Corgo, where are installed the vinification cellar of the Company and an ageing storehouse for Port Wine; the Quinta de Santa Bárbara (Caêdo, Ervedosa do Douro), in Upper Corgo; and Quinta de Vale de Cavalos (Numão), in Upper Douro. Throughout the years, Poças won reputation for the quality of his Port Tawny, but, since the decade of 60, begin also producing Port Vintage, a segment specialized in the last decades. “We were also known because of the old Tawny and we have a consistent quality in harvests, but in parallel we have been constructing a very distinctive image in the LBV and in Vintage”, explains Jorge Manuel Pintão, the element of the 4th generation that leads Poças enology department. Presently, the company produces all ranges of wines and has one of the most equilibrated portfolios in the business.